This marked the first time in my television career I’ve released a soundtrack for a season while I was still in production on that season. 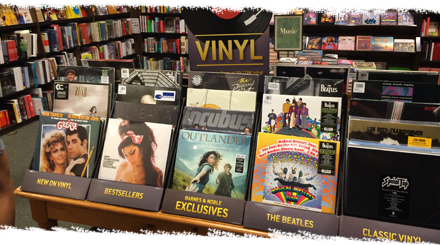 Truly, I consider both records two halves of the same musical whole, because each tells half of the narrative. In fact, I was tempted to wait and release them both as a double album, but innumerable fan requests convinced me that fans didn’t want to wait that long. When fans ask, I aim to provide! Collecting music for Volume II was a thrilling challenge. Clearly, there were obvious cues that would make the cut: Claire’s daring rescue from Fort William, the folk songs accompanying her search for Jamie throughout the highlands, and the sweeping orchestral flourishes of the season’s final ten minutes. As I combed through the material, however, I continued to find smaller musical pieces that I suspected might work well on an album: Geillis’ haunting dance under the moonlight, the wool waulking songs performed on camera, and all my various unique end credits pieces (each episode featured a custom-composed End Credits, so there were 16 in total!). Themes are very important to my creative process, and Outlander is no exception. 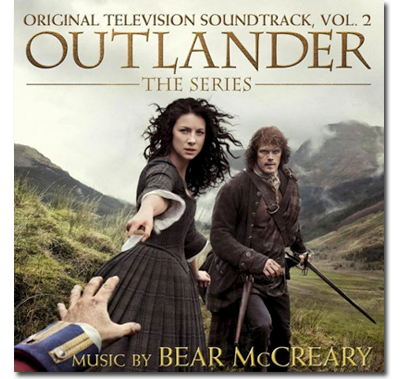 On the last album, the Claire and Jamie Theme gradually grew in prominence as the album went on. Here, it comes to the forefront immediately and is featured prominently on many tracks. I like to think of “The Key to Lallybroch” as a sequel to “The Wedding,” from the first album. The Druid-inspired Stones Theme makes two more appearances here, providing an ethereal and mystical tone to the score. And once again, traditional Scottish folk tunes are woven throughout the score, in even greater abundance. This time around, keep an ear out for “My Bonnie Moorhen,” “Weel May the Keel Row,” “Wanderin’ Willie,” “Maids, When You’re Young Never Wed an Old Man,” “MacPherson’s Farewell,” “Sleepy Maggie” and more. For a sneak preview of full tracks, check out “The Key to Lallybroch,” courtesy of People, and “Charge of the Highland Cattle,” courtesy of Entertainment Weekly. Of course, the most important Scottish folk song to Outlander is “The Skye Boat Song.” I knew I wanted to feature vocalist Raya Yarbrough singing it once again. Her performance of this song functions as our series Main Title, and I had already included it in Volume I, as well as having released a slightly different version of it as a single when the show premiered. However, fans have routinely asked if a longer version existed, noting that our Main Title sequence only included one stanza of Robert Louis Stevenson’s beautiful lyrics. When Outlander Vol I came out, I had never produced a longer version of “Skye Boat Song.” I had only arranged and recorded the ninety seconds the visual sequence required. I always wanted to explore producing a longer version, and finally found the time to tackle the concept while scoring the last episode. I rearranged the song from scratch, specifically for this new album, and brought all the musicians and Raya back into the studio to perform it. I think the extended “Skye Boat Song” benefitted from my time away from the material. I took all the knowledge and inspiration I had accumulated over sixteen episodes, nearly a year of work, and applied it to the tune that was one of the first pieces I tackled when I started the show. Scoring the first season of Outlander changed me on a fundamental level, and these two versions of “Skye Boat Song” represent that journey. You can preview the entire extended “Skye Boat Song” at this link, courtesy of Entertainment Weekly. Now that Outlander Volume I and Volume II are released, I am thrilled fans can enjoy my score for the entire season as a musical experience. I am immeasurably grateful for the chance to be a part of this remarkable story, one that has rallied passionate fans all around the world, and I look forward to continuing this journey into Season Two. I know it’s a bit of a wait until the new season premieres, so hopefully these two albums can help pass the time until then!